After it failed to make an appearance at Google I/O in May, rampant speculation ensued surrounding Asus and Google’s inevitable launch of the successor to the Nexus 7. When Google sent out invitations this morning for an event next Wednesday to be hosted by Chrome and now Android chief Sundar Pichai, many concluded that the Moto X, Android 4.3 and this mystery tablet would turn up, and this has been all but confirmed by Android Central obtaining many pictures and a video of the miniature tablet. Rumours point towards a quad-core Qualcomm processor, a higher resolution display, rear camera and up to 4GB of RAM, all while retaining a price point similar to that of the original, clocking in on retailer databases as $229 and $269 for 16 and 32GB variants. I like to call HP the most unpredictable company in tech. One minute they’re acquiring Palm for $1.2 billion, then the next they’re discontinuing all webOS products and throwing TouchPads out of the door for less than £100 a pop. There is literally no way of telling what wacky thing they’ll do next, and at MWC they proved this by announcing the Slate 7, a £129 Nexus 7 competitor with near-stock Android and Beats Audio. While there was absolutely no reason to buy one over a Nexus 7, it still suggested that HP had an interest in good value Android machines with unmodified software. Now it seems that theory is correct, as the company has unveiled the SlateBook x2. If you’ve ever seen HP’s Windows 8-powered Envy x2, then the SlateBook x2 should instantly feel familiar. It’s smaller, at 10.2″ compared to 11.6″ for the Envy x2, but it follows the same basic concept of a slate being paired with a detachable battery-equipped keyboard to make a notebook form factor. The slate itself is powered by Nvidia’s Tegra 4 chip, has a 1920 x 1200 IPS display and 64GB of storage which is expandable via microSD and, in the keyboard dock, a full size SD. The software is also pretty much stock Jelly Bean with HP’s only additions being printing stuff and some document editing/file management capabilities. Best of all the whole keyboard and 64GB tablet package will only set you back $479.99, so less than a 16GB 9.7″ iPad, meaning that it’ll probably end up at around £390 in the UK. If Android tablet app offerings were more compelling, I’d be seriously tempted. Like the inevitable tick-tock of a clock, Google, in partnership with LG, released the fourth Nexus phone late last year. On a day inundated with news on Hurricane Sandy, they managed to send the technology community into overdrive and rain on Microsoft’s parade by introducing a flagship smartphone for just £239.99 unlocked. Despite the shambolic release that occurred through Google’s own Play Store, there is no phone out there that appears to provide this kind of value for money. Google has taken a huge gamble with this device by selling it through its own channels with next to no profit margin, but has it paid off by making the best Android phone out there? Read on to find out. This phone is beautiful. There are no other words to describe it. It is right up there with the iPhone 5 and One X in terms of hardware design and build quality, which is a massive achievement considering the price point. The unadorned glass façade gently curves down to meet the plastic frame which, when flipped over, reveals a gently shimmering micro-etched glass back. Sure, it was a poor design choice in terms of durability, but it looks great. The front is graced with a small speaker grill and a front facing camera. It also features a hidden notification light centred on the bottom bezel – which is very clear and bright. It’s also RGB, meaning it can be programmed to be any colour with apps such as Light Flow. Aside from the volume rocker and power button, the only keys you’ll see here are on-screen, keeping with the pattern started by 2011’s Galaxy Nexus and continued throughout many other post-Ice Cream Sandwich devices and, while not without their critics, I love them. It’s simplicity done extremely well. The screen is a 4.7” WXGA (1280 x 768) IPS affair, but some of it is taken up by software buttons. The screen is also up there with the best, using the same in-cell technology the iPhone 5 made a big deal about which, seeing as both panels come from LG, makes perfect sense. The colours and vibrancy are great, although still trail behind AMOLED in certain aspects. The Nexus 4 feels solid in the hand, but also feels very slippery due to the glass back and curve, and I therefore highly recommend getting a case for it, no matter how difficult it is to cover up the beautiful exterior. Another slight problem is the chrome band surrounding the front. While it is done very well, it does have the tendency to scratch or dent. The buttons are made of the same material. They have a nice travel, and feel solid, but they are quite slippery – a recurring theme with the hardware on this phone. However, in spite of all of these flaws, this is easily one of the best designed Android phones ever. Inside, the Nexus 4 sits perched upon the top of 2012’s internal hardware. It has a 1.5GHz quad-core Snapdragon S4 Pro with an Adreno 320 GPU, coupled with 2GB of RAM giving you a blazing fast phone, although the upcoming flagships like the HTC One and Galaxy S IV should easily eclipse it. Benchmark scores demonstrate this, although these should be taken with a pinch of salt, as our testing shows that the US variant of the Galaxy S III (with dual-core S4 chip) obtains a higher Quadrant score than the quad-core S4 Pro-powered Nexus 4, suggesting that this benchmark has not been properly optimised for Android 4.2 yet. This phone is running pure, unadulterated Android and is all the better for it. Untouched by manufactures, this allows the end user to experience and enjoy Android as Google intended, which is of course one of the major selling points of this phone. A positive knock-on effect of this is that it should receive timely updates to Android, currently on version 4.2.2. 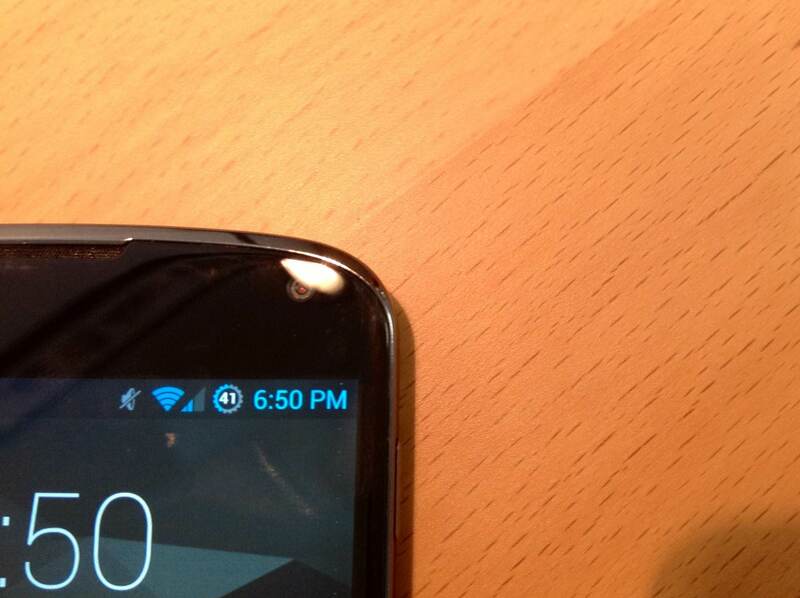 This is why the Galaxy Nexus remained a great phone throughout it’s lifespan – and why the Nexus 4 will be the same. It’s a safer choice than a Samsung or HTC phone, which may or may not be updated to the latest version of Android. Android 4.2 is the best version of Android yet, and it looks great on the hardware of the Nexus 4. I’m not going to do a full review of the software as it’s still the Jelly Bean that we know and love from I/O 2012, but I’ll go over a few of the new features, such as lock-screen widgets. Combined with the ever-growing number of third party apps that support this functionality, this is amazing. My favourite use case is to see my to do list and edit it all from my lock screen. This is joined by gesture typing (a Swype-esque keyboard), Photo Sphere (StreetView-esque 360 degree panoramas) and Miracast streaming to make the latest point upgrade of the dessert-flavoured OS. What does this all mean to you? Basically, you get a rock solid, lightning fast version of Android. This is easily on par with the iPhone, if not smoother thanks to Project Butter. It also blends in with all the apps that follow the Holo design guidelines (unlike the One X). I realise I must sound like a fanboy when I say this, but honestly it’s true. There are still places where Android lags behind iOS, but those places are few and far between. I’m genuinely excited to see what Android 5.0 will bring. As many reviews have stated before, and more will state after, the Nexus 4 camera is simply average. Don’t get me wrong, it’s good, but not amazing. I would put it about on par with the iPhone 4S in terms of picture quality, and slightly worse than that for colour reproduction. Rather than telling you, it’s better for me to show you. There is a full gallery of sample shots on the way to be added to this review later. Again, the same goes for battery life. It is average, and maybe even slightly below. The Nexus 4 lasts about 10 hours on a charge, but with screen on time fluctuating wildly depending on usage and the ROM. My highest is about 4.5 hours and the lowest is about 1.5 hours. Not great, but with a bit of careful usage here and there it will get you through the day. I’ll also update this review with screenshots of a few charge cycles. I’m not entirely sure why the battery life is so sub-par considering it is a non-LTE phone with a 2100mAh battery, but I assume that the internals or apps are draining it. The radios in the Nexus have been very good, definitely better than the One X I reviewed last year. WiFi reception has been pretty good, reaching 3 bars out of 4 in my room. This is pretty good for a smartphone as my room has brick walls, and 3G reception has been pretty good too. One major thing that the phone has been bashed for is the lack of 4G LTE capability, but if you are in the UK then that shouldn’t be a problem until much later when 4G is widespread, unless you are an EE customer. The Nexus 4 is easily the best phone in its price bracket and, in most ways, it is definitely the best phone on the market. However, is it the phone that you should buy? The HTC One and Samsung Galaxy S IV are both lurking just days away, and I say if you are buying a phone to last 3 or 4 years, this probably isn’t the phone to buy due to the crack-prone glass back and lack of LTE. If you are buying a phone to last 1 year (or even 2), then this is your phone. The promise of prompt Android updates ably aided by the swift internals will keep you ticking by nicely. 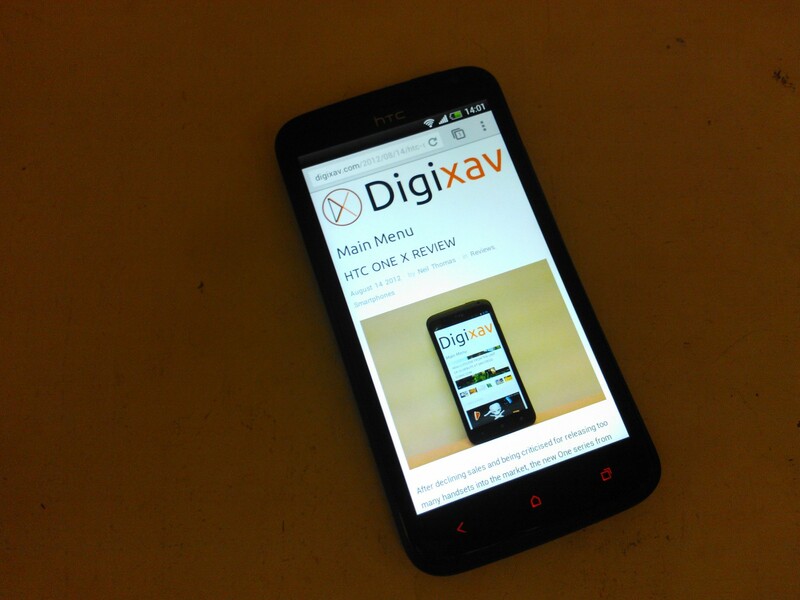 Sure, in 2 years it might not be the best-specced phone, but it will remain the yardstick for Android in 2013. Why? Because it’s a Nexus, and this is how Android phones should be done. 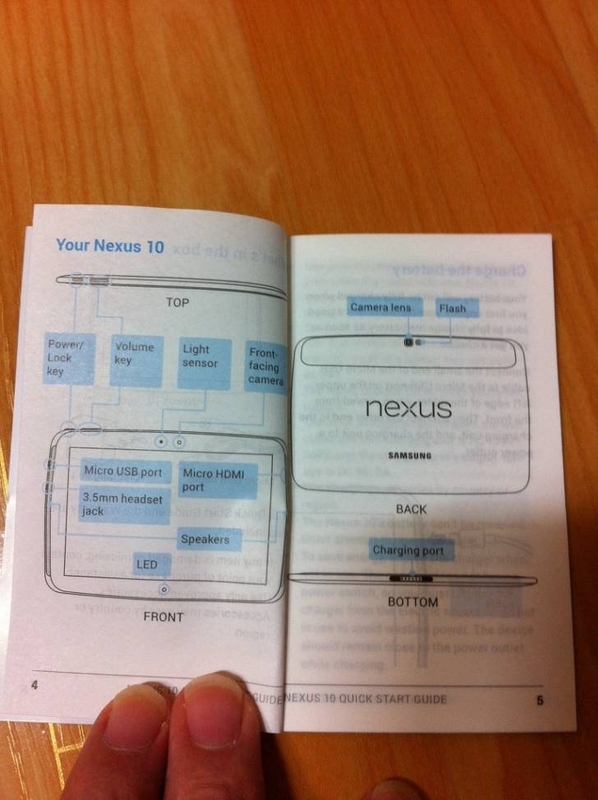 As rumours circulate that Google is set to expand the Nexus family of Android devices at an event on Monday, Korean site Seeko has obtained images of a supposed Samsung Nexus 10 product guide. While sparse on details, the images show a diagram of the device including a Micro-HDMI port and front and rear cameras. It is also rumoured to have a 2560 x 1600 10.1″ display paired with Android 4.2, although the manual cannot corroborate this. With the Nexus 4, 7 and 10, Google’s new naming strategy is very clear, and on Monday we should get to see the clearer picture. Despite the fact that LG’s upcoming Nexus 4 remains unannounced, there is not a lot we still don’t know about Google’s future flagship phone. It has appeared in Carphone Warehouse’s database, been semi-confirmed by an LG executive and even been fully reviewed by Belarusian site Onliner.by after they got their hands on a prototype model. Now, with anticipation rising for Google’s Android event on October 29th where it is expected that all will be revealed, British retailer Carphone Warehouse has begun to offer the device for pre-order, with shipping promised for next week. Alongside Android 4.2 – which will still be known as Jelly Bean – the page confirms a Snapdragon S4 processor will power the 4.7″ 1280 x 768 display, while 8GB of internal storage will be built in with no expandability. An 8MP rear camera will be capable of 1080p video and NFC will also be present to allow for Android Beam support. While you cannot currently order the phone without a contract, deals are available on Vodafone and O2, with the cheapest contract without an up-front cost is for £31 per month. An October 30th ship date is promised, and we will be covering Monday’s announcement event live.